Some areas around our basecamp like Sankt Anton and Kappl are famous for their freeride terrain, others are still well kept secrets our guides might show you. 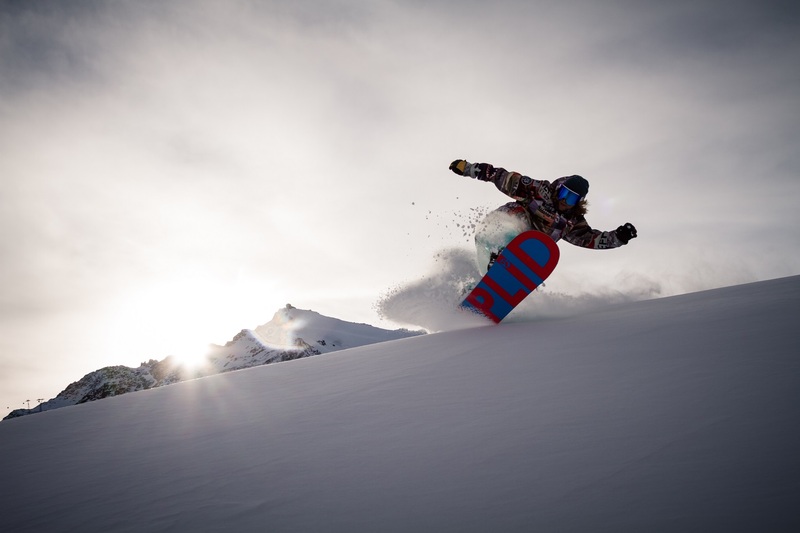 Paznaun, Arlberg and the other surrounding mountains and valleys offer a hudge potential untouched powder runs – with or without support of lift, splitboard or touring skis. For beginners, there are also many easily accessible slopes where you can improve your freeriding skills. Please be aware of avalanche and mountain safety in all cases. 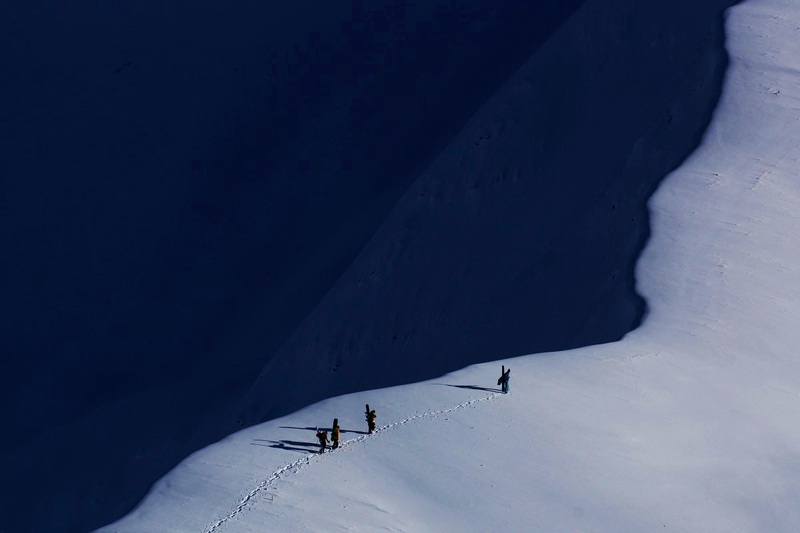 Our partner mountain guides from the region will happly plan with you and guide you on amazing off piste tours. In our camp you can choose from a selection of freeride, freestyle, split and children snowboards of our partners Amplid, Nitro & K2. We also offer Snowskates from wefunk. For rental and testing please send us a mail in advance, so we can ensure that we have a suitable board for you. We have a small stockl of snowboard boots available at the basecamp. Less common boot sizes can be rented at our partner shops. For freeriding avalanche rescue beacons, shovel and sensor are an absolute obligation. You can rent all of this equipment in our base camp, if you know how to handle it! In case you are not sure about it, join our avalanche camp and learn from our state-certified mountain guides how to evaluate freeriding conditions correctly and what to do in case something goes wrong.